Lower bonus clearing requirements than most other online casinos. Fantastic range of branded and proprietary software. Only accepts players from the USA, Brazil and Mexico. Our Bovada Casino review takes a look behind the headline promotions offered by the site to find out whether this is an online casino you should invest your time and money in. Naturally, in the compilation of this Bovada Casino review, we have focused on the casino action. However, there are very good sports betting and horse betting elements of the site that are quickly worth mentioning. Both the sports betting and horse racing elements of the site have exceptional worldwide coverage. Placing bets is simple and, for punters unable to choose between the selections, there is a wealth of information and data provided by the site to help. Both the sports betting and horse racing elements of the site offer their own bonuses and promotions and are well worth checking out. Getting back to our Bovada Casino review and it is important to be aware the casino only accepts players from the USA, Brazil and Mexico – with the exception of players located in DE, MD, NY, NJ, and NV. If you live in any of these states – or outside of the USA, Brazil and Mexico – and you are looking for some quality online casino action, we suggest you check out some of our other online casino reviews. 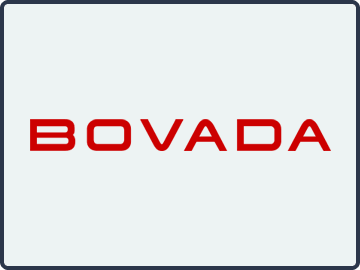 The Bovada brand first came into existence in December 2011. Formerly part of the Bodog online gambling empire, the decision to create a separate brand for US Players was prompted by the “Black Friday” events that shook the online poker world the previous April. Other than the name, nothing else changed, and the casino continued to operate as it had done for the previous five years. At the time the brand was launched, the popularity of Bovada Casino was fueled by online poker players keen to play in the largest US-friendly online poker network. To offer players something different, the site started developing its own casino software, which it still uses today along with the best selection of games from Realtime Gaming and Rival Gaming. The decision to invest in proprietary software was a good one. In early 2016, the online poker element of the site was rebranded as Ignition Poker and players who wanted to continue playing online poker were transferred to the new site. However, due to the unique online experience at Bovada Casino, many players stayed to continue enjoying games that were unavailable elsewhere. Bovada offers two different bonuses depending on the deposit method used. The site also applies different wagering contributions (not to be confused with clearing requirements) to its first deposit bonuses than its reload bonuses. This means that if you are a small stakes non-slots player, it can be in your best interests not to take advantage of the maximum first deposit bonus. Strange but true. The first of the two bonuses is a three times use 100% bonus on first deposits made by Visa or Mastercard up to $1,000. In order to take advantage of this bonus, you need to enter the Bovada Casino bonus code “NEWWELCOME” on each of the first three times you make a deposit. The bonus amount is added instantly to your account and can be used straightaway to play casino games. The second bonus is for players depositing with Bitcoin. Again it is a three time use bonus – each of your first thee deposits being eligible for a 150% bonus on deposits up to the Bitcoin equivalent of $1,000. If you intend putting in a lot of action of Bovada´s slots, it is worthwhile taking advantage of this bonus by entering the Bovada Casino bonus code “BVCBITCOIN150” when making your first three deposits. Players funding their accounts with Bitcoin are also eligible for a 50% bonus on deposits up to $1,000 to use for sports betting – bringing the total value of the Bitcoin Bovada Casino bonus up to $5,000 (3x $1,500 casino bonuses plus $500 sports betting bonus). To take advantage of this additional sports betting bonus opportunity, use the Bovada Casino bonus code “BVSBITCOIN50” when depositing. There are a few restrictions associated with whichever bonus offer you take advantage of. These are typical of most online casinos and include the inability to clear two or more bonuses simultaneously and the forfeit of your bonus – and any winnings associated with it – if you request a withdrawal before meeting the clearing requirements. Fortunately, you have six months to clear the Bovada Casino bonus. It was mentioned in the introduction to our Bovada Casino review that the site is driven by Realtime Gaming, Rival Gaming and Bovada´s own proprietary software. The combination of all three creates a fantastic range of games – the best of which can be found in the slots section of the casino. Among the sortable choice of slot games you will find 3D slots, video slots, slots with progressive jackpots and the classic three-reel and five-reel slots. Our first look at the table games was a little disconcerting as the site has done away with the “traditional” backdrop of green felt and polished wood. However, the game play was fast and smooth, and enhanced by a number of customizable options. It was the same for many of the blackjack tables and specialty games, but video poker players will be relieved to discover that Bovada has not tinkered with your favorite pastime. With the exception of the Live Dealer games, all the games can be played in practice mode before you invest any real money in your skills, however practice mode is only available when you are logged out of your account. Fortunately, logging out of and back into your Bovada account is quick and easy on the browser-based software – even on a mobile device, as there are no downloads or apps to install before playing at Bovada Casino. Deposits at Bovada Casino can only be made by Visa, Mastercard or Bitcoin. There are no fees attached to your first deposit, but subsequent deposits by Visa attract a 4.9% fee and subsequent deposits by Mastercard attract a 6.9% fee. You may also be charged a cash advance fee by your card provider. Bitcoin deposits are always free. Withdrawals are slightly more complicated. You can only withdraw your funds from the site by a courier check (max limit $3,000 per withdrawal) or Bitcoin (max limit $9,500 per withdrawal). You are limited to one withdrawal request per week (Bitcoin users, one withdrawal request every five days), and although Bovada Casino will allow you one free withdrawal by courier check each month, you will be charged $50 per withdrawal thereafter (Bitcoin withdrawals are free). It is also necessary to verify your account prior to making a withdrawal request. This usually involves supplying Bovada with a copy of government issued ID and, if you have deposited into your account by Visa or Mastercard, a copy of the front and back of your card. It may be necessary to complete other verification procedures depending on your location, and Bovada´s excellent customer support will be able to advise you of any additional procedures necessary. Having previously been part of the world´s largest US-friendly online poker network, Bovada customer support has probably seen and heard everything players can throw at them. They are experienced, helpful and friendly, and it is unlikely they will be unable to answer any question you have. The site also has an extensive FAQ section in which you may also find the answers to your questions. The Bovada Casino benefits program is a rewards program in which players are awarded points for their slots action and their action at the tables. Points are awarded according to the games played, and every other Friday Bovada will give you a no deposit bonus of $1.00 for each 100 points you have collected (min exchange 500 points). Once you have earned your first point, you can also take advantage of weekly reload bonuses – although please remember you cannot clear multiple bonuses simultaneously. High Rollers are invited to join Bovada Casino´s “Red Room” – an exclusive members-only program in which players benefit from additional cash rewards, higher bonuses, special offers and expedited withdrawals. We were unable to find out exactly how much action you need to put in each month to be considered for Red Room membership; and, with only a modest bankroll, we were never going to get invited anyway! This section of our online casino reviews is often tough to complete because different players have different motives for playing at a casino, and we have to try and consider all their requirements. However, at Bovada Casino there appears to be something for everyone, so we just picked out the best bits and found a few things we felt the site could improve upon. Loved the software and the variety of games. Achievable bonuses with low clearing requirements. Great customer support from an experience and trusted site. No bonus or reward credits for playing Live Dealer games. The fees on non-Bitcoin deposits and withdrawals. Low wagering contributions on first deposit non-slot games. When Bovada was operating as an online poker site, it was one of the most popular online poker sites in the world. Now it is an online casino, sportsbook and horseracing site, it has retained its popularity and it is not difficult to see why. The industry-leading software and selection of games provides players with a great online casino experience that – due to the excellent mobile-friendly website – players can enjoy wherever they go. The multiple bonus opportunities and casino benefits program helps to make your money go further when you play at Bovada Casino; and, although it is impossible to say this is the best online casino for US players (because everybody has different motives for playing at an online casino), it is definitely worth experiencing. Just watch out how much you initially deposit if you are a non-slots player looking to capitalize on a seemingly generous first deposit bonus.